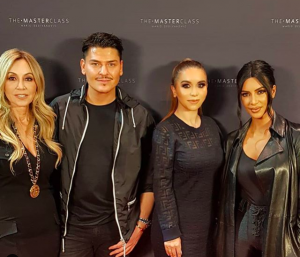 As I sat down in my coveted seat at Dedivanovic’s The Master Class with Kim Kardashian on Saturday, I was greeted by my seat-mate Or as she called her, “Ms. 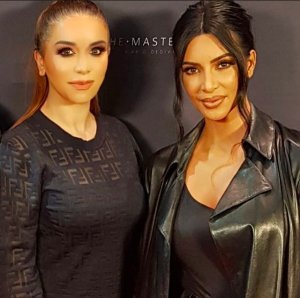 Kim.” She easily beats me on who has the better accent my british accent compared to her lovely american accent. The event was not for the half-hearted.I, along with 1200 other attendees, settled in for full day of makeup learning. (And I do mean a full day: I arrived just after 10:00 a.m. and was there through 5:30 p.m.) Most of fellow attendees had shelled out between $499.99 and $1,499.99. When the attendees arrived in the theater, we each received a notebook and pen, both inscribed in silver with “The Master Class” on the front. They, like Kim herself, are fancy and perfect. They were super handy, because the second Mario and Kim begin their presentation, you find yourself wanting to gather every ounce of wisdom the duo share throughout the class. 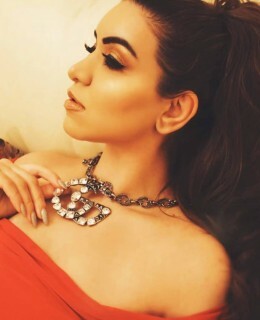 As they began to speak, I opened to the first fresh page of my notebook, as Kardashian spoke about her children especially about North along with a facetime phone call with her, the secret to her long eyelashes and how to earn Mario’s affections on Instagram you was instantly dragged into every word. When it was all said and done, I had learned a lot of hot new tips and tricks from the industries best. But before we get there, let me just say: Yes, I met Kim & Mario & Anastasia again. Kim gave me a hug remembering my name from the last classes. And yes, it’s true what you’ve read about her insanely soft skin.